The Naturalist’s Corner dispatched its chief investigative reporter, Kuteeng Satire, to the land of Dudley Doright to bring you the truth regarding Canada’s plan to shoot, shoot from airplanes, poison, trap and otherwise kill thousands of wolves because the stupid animals are eating caribou displaced by the decimation of their habitat by Canada’s grand gesture of saving the United States from its foreign oil dependency by selling it more expensive foreign oil from Canada. 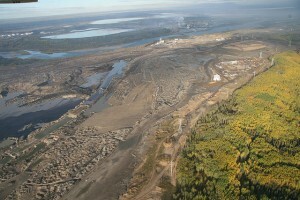 The fact that Canada is in the process of destroying 10.6 million acres of boreal forest, decimating wildlife populations and destroying indigenous peoples’ way of life in a quest to sell the world’s dirtiest oil to their southern neighbors just shows that their wallet, uh, heart is in the right place. In order for the world and the U.S. in particular to understand Canada’s heartfelt generosity, The Naturalist’s Corner’s Kuteeng Satire interviewed Ima Dunce from Canada’s Minister of Environment, Peter Kent’s office. Satire: Mr. Kent was quoted as saying; “Culling is an accepted if regrettable scientific practice and means of controlling populations and attempting to balance what civilization has developed. I’ve got to admit, it troubles me that that’s what is necessary to protect this species.” Why is the killing of thousands of wolves necessary? Dunce: Because there are too many wolves and they are killing the poor caribou. Satire: So caribou are worth saving but wolves are not? Dunce: But of course! Caribou are sweet creatures. They geeve us food and fur and they only eat grass and lichens. They are gentle creatures. Not like zee wolves. Zee wolves are mean and with their beeg teeths they eat the caribou. They eat mama caribous and baby caribous and all caribous – all the time they are just killing and eating and eating and killing. Satire: So wolves are evil? Dunce: Certainly! You deed not learn anything from Leetle Rouge Riding Hood? Satire: How do you plan to kill the wolves? Dunce: We will shoot them. We will shoot them on the ground. We will shoot them from the sky. And when we can’t find anymore to shoot we will poison them with strychnine. Satire: But wouldn’t it make more sense to protect and restore caribou habitat, rather than simply kill wolves. Dunce: Whoever says that – they are not from Canada. They don’t understand. Who would say such a thing? Satire: Lu Carbyn, Emeritus Research Scientist with the Canadian Wildlife Service would say such a thing. Satire: Is it true that if you mine all of the tar sands area you will have to destroy an area of boreal forest the size of Florida? Dunce: There must be, what, 40 or 50 states? Eef you lose Florida, no beeg deal, right? Satire: Will poisoning wolves harm other wildlife? Satire: Like wolverines, cougars and other predators? Dunce: All bad, bad, bad animals. Dunce: Oh no, you are meestaken. Baskeetball players are wild but they would not eat dead animals! Satire: Not the Toronto Raptors. You know, birds of prey. Dunce: That eat other animals? Satire: Are the people supportive of the tar sands mining? Dunce: Oh wee-wee! Fox and the Hare News deed a poll and 67 percent of voters supported the tar sands and the Keystone pipeline. Satire: Uh that was a, uh fair and balanced, American poll from Fox and the Hare News that mislead respondents by stating the pipeline would lower gas prices. What about Canadian polls, say in Alberta near the tar sands? 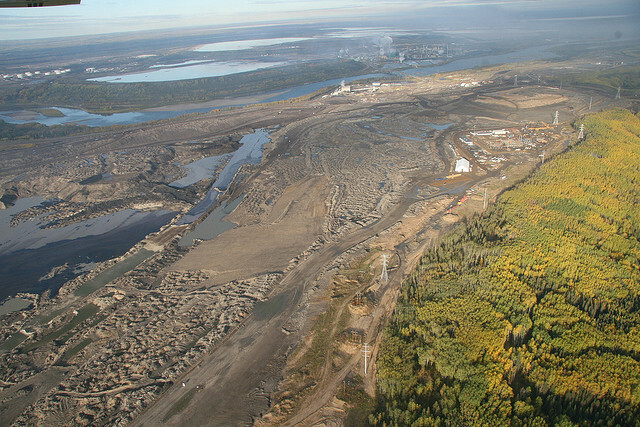 Satire: Seventy-one percent of Albertans support a moratorium on any new tar sands projects. Dunce: Oh, that was all a beeg misunderstanding. The people could not understand zee poll. Dunce: It was een French! Don Hendershot is a naturalist and a writer who lives in Haywood County. Lake J eagles – do over?